When’s the last time you gave your drains some TLC? 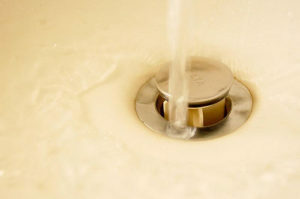 If it has been a while since your last drain cleaning, you may want to think about scheduling a summer drain cleaning. Summer drain cleaning is just as important and beneficial as spring cleaning, but most people forget about it. If you want to prevent clogs and ensure that waste and wastewater can flow freely away from your home, you need to have your drains cleaned from time to time. Check out these benefits of summer drain cleaning. Clogs are some of the most common plumbing woes. They can occur in any drain line, and they can really put a damper on your day. In severe cases, they can also cause a huge mess inside your home or on your property. Over time, grease, hair, toilet paper and other debris builds up in residential plumbing pipes. When the pipes are not cleaned regularly, all this buildup often causes a blockage. In addition to being inconvenient, major blockages can damage your pipes and lead to major repair costs. Clogs are more than just annoying. They harbor bacteria, mold and mildew, and during the summer months, heat and humidity facilitates the rapid growth and spread of these health hazards. Keeping your drains clean means keeping these serious risks at bay. When you have your drains cleaned routinely, your plumber has an opportunity to find and correct minor problems before they become serious. We often find roots growing into main sewer lines during routine drain cleaning visits. The earlier problems like this are detected, the earlier and more affordable they are to correct. For summer drain cleaning in Hagerstown and the surrounding areas, depend on the expert plumbing technicians here at Larry & Sons. We have advanced equipment that allows us to clean and take a look inside your home’s drainage system without causing any damage. If we find a problem, we are equipped to resolve it, and you can trust that your pipes are in good hands with us. If you have not had your drains cleaned in a while, please contact us now before disaster strikes. Call 301-733-5428.